To the uninitiated, Satanists and Luciferians are often considered to be one and the same thing. After all, Luciferians and Satanists ( theistic as well as LaVeyan/atheistic) both are named for the figure that traditional Christians regard as the devil, the embodiment of evil. But while the two groups do have a lot in common, Luciferians view themselves as quite separate from Satanists and by no means a subset. The Luciferians view Satanists as being primarily focused on the physical nature of man, exploring, experimenting, and enjoying that nature while rejecting any aspirations or effort rise beyond it. They believe that Satanists see the figure of Satan as an emblem of carnality and materiality. Luciferians, on the other hand, view Lucifer as a spiritual and enlightened being—one that does indeed rise above mere materiality. While Luciferians do embrace the enjoyment of one's life, they accept that there are greater and more spiritual goals to be pursued and achieved. Many among the Luciferians see Satan and Lucifer as symbols of different aspects of the same being—the carnal, rebellious and material Satan vs. the enlightened and spiritual Lucifer. Luciferians also tend to see Satanists as overly-dependent on Christian understandings. From the Luciferian perspective, Satanists embrace values such as pleasure, success, and sexuality precisely because the Chrisitan Church has traditionally condemned such things. Luciferians do not see their choices as acts as rebellion but instead, believe themselves to be motivated by independent thought. Luciferians put more emphasis on the balance of light and dark, seeing Satanism as a more one-sided belief system. View human beings as gods—beings who have mastery of the planet. Unlike the Christian relationship to Jesus, both Satanists and Luciferians pay respect to Lucifer rather than worship him. They are not subservient to Lucifer but believe he has many things to teach them. Hold to a set of ethics that includes showing respect to those who deserve it and leaving alone those people who have caused no problems. Support creativity, excellence, success, freedom, individuality, and enjoyment. Are antagonistic toward Christianity, although not to Christians. Luciferians and Satanists view Christians as being victims of their own religion, too dependent on their religion to escape from it. View Satan or Lucifer in a different manner than do Christians. 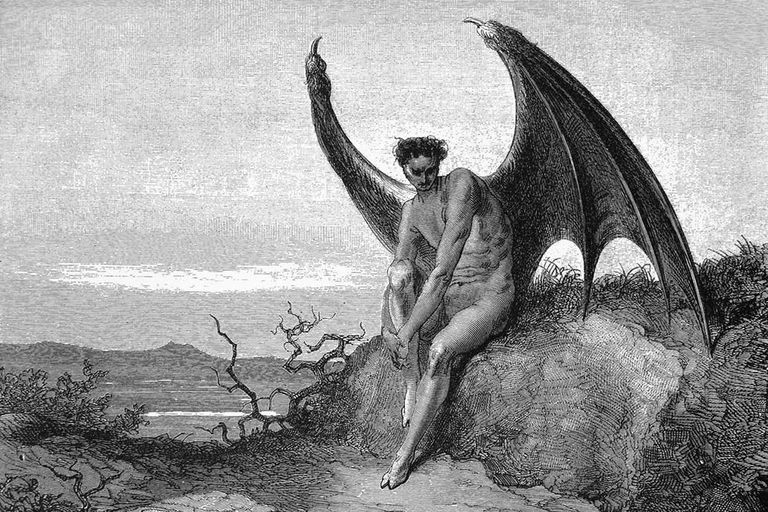 Satan or Lucifer is not regarded as the embodiment of evil. To worship a being of true evil is regarded as the act of a psychopath for Luciferians and Satanists.